The Rapid is the seventh model in the Skoda line-up and is aptly named as the firm plans a string of quick-fire product launches, with a new car or facelift at least once every six months. The Rapid hatchback (it is a hatchback, despite what looks like a boot at the back) gives a glimpse of what's in store with future models. 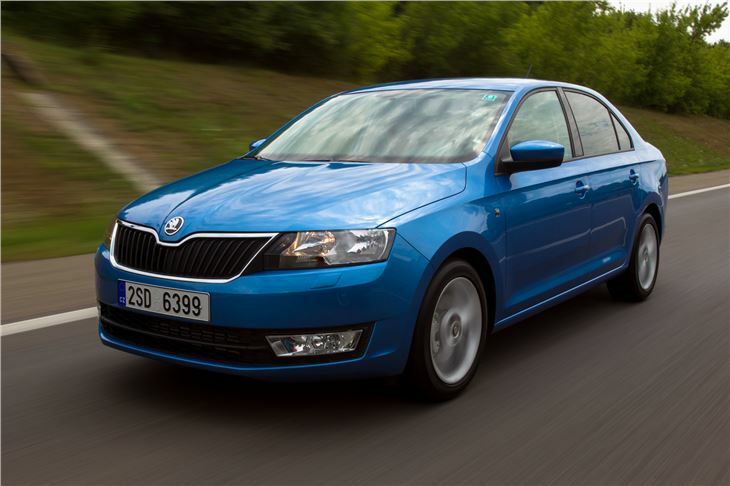 It not only debuts Skoda's crisp new look and minimalist badge, but gives an idea of where the ever-popular Octavia is heading. Officially the Rapid fits in between Fabia and Octavia. At the moment this looks a little confusung as the Rapid's dimensions are so close to Octavia's. 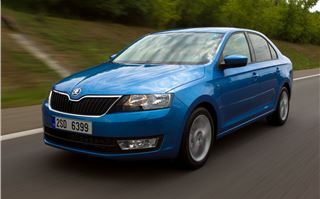 What Skoda isn't letting on is that next year's new 2013 Octavia will be bigger (more Mondeo than Focus) and more upmarket. The Rapid fills the gap that's left behind and it does a very good job. 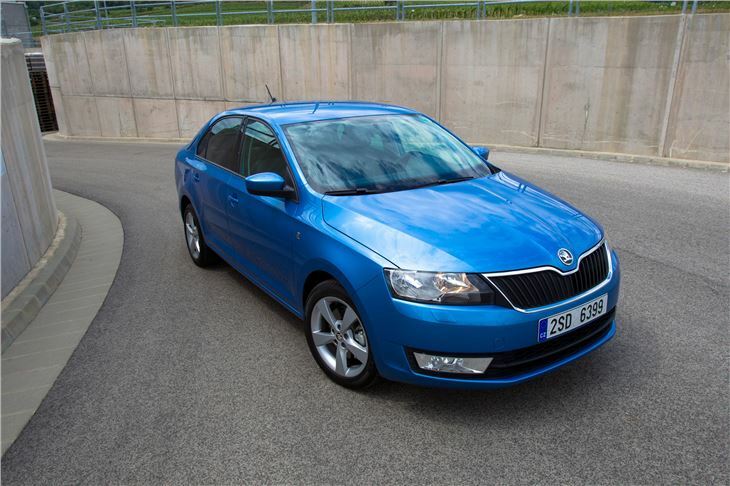 It's a no-nonsense practical family hatchback that bears a striking resemblance – in size, silhouette and character – to the first generation Octavia. 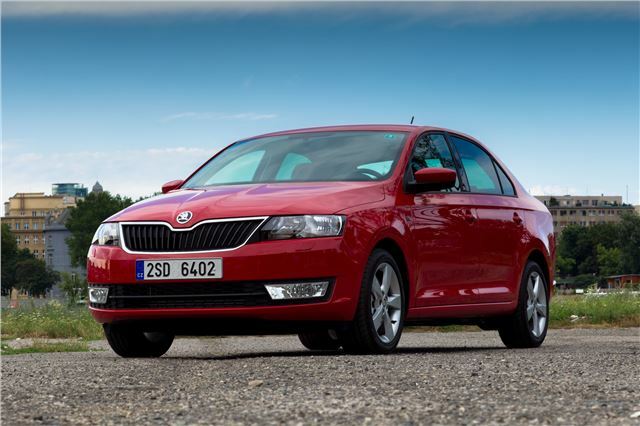 Inside, it's incredibly well packaged – something that we're starting to take for granted with Skoda – with extraordinary amounts of leg and headroom. The front seat passengers can have their seats almost all the way back without impeding too much on the back-seat passengers. Unlike most cars in this class, the knee of the back seat passengers won't touch the backs of the front seats. 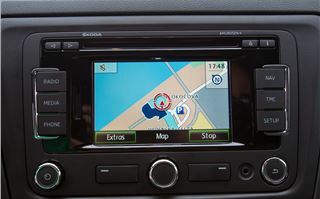 Access is easy too, which should appeal to older drivers. 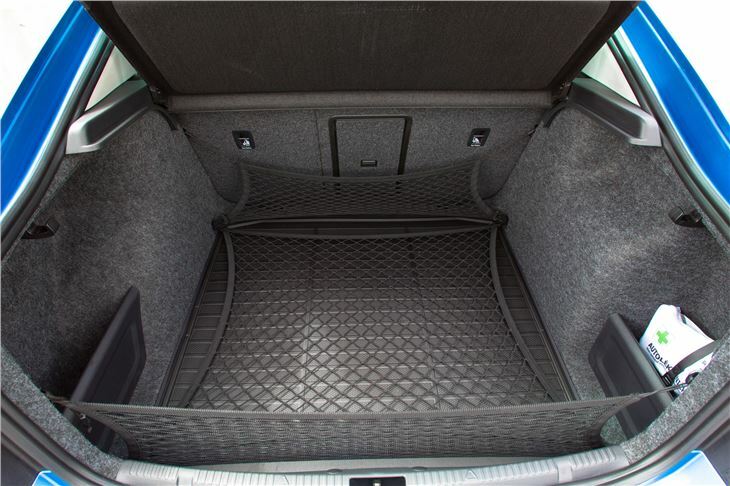 The boot is huge with 550 litres of space before you fold the seats down – you won't find another hatch of the same size with as much. To put that in perspective, it's the same as the current Octavia. Fold down the seats and there's a colossal 1490 litres, which is more than enough to cope with the demands of family life. 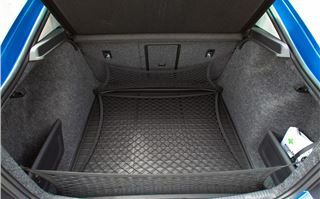 It's an easy boot to access too, thanks to the wide opening created by the roof-hinged tailgate. Maybe it's because this hatch is so roomy that Skoda says there won't be an estate. There will be other variants though. 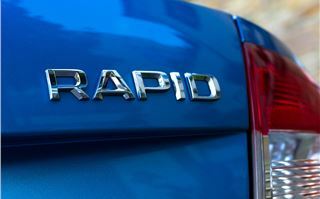 And it's not just sheer space that makes the Rapid so practical. 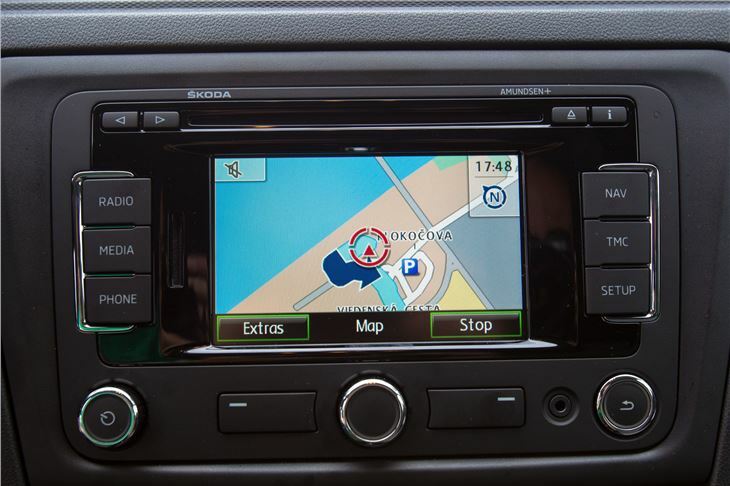 Skoda has once again come up with a few more small but brilliant “why has no one thought of it before?” ideas. 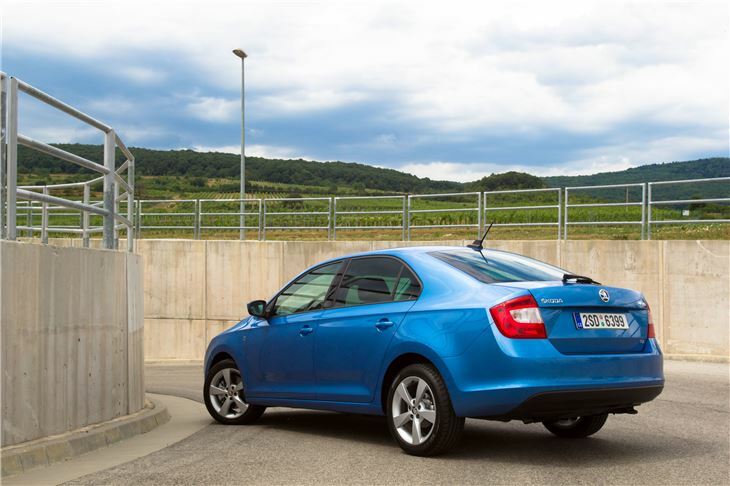 Where the Superb gets umbrellas built into the doors and the humble Fabia has Skoda's much-copied parking ticket clip, the Rapid gets a new innovation – a magnifying ice scraper that's stored behind the fuel filler flap. And it doesn't stop there, inside the car there's a removable rubbish bin in the door pocket and the boot liner is reversible. One side is fabric, the other is wipe-clean rubber. 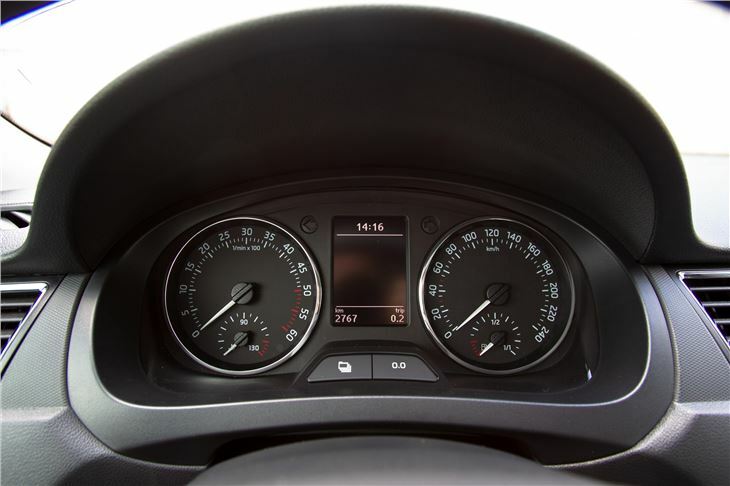 Power comes from 1.2-litre (MPI and TSI) and 1.4-litre petrol engines plus a 1.6-litre TDI CR that's available with three different power outputs, depending on whether you want performance, economy or a mixture of both. The pick of the bunch is the 1.2-litre TSI, which is used widely in the Volkswagen Group and is at its best in small cars such as the Rapid. 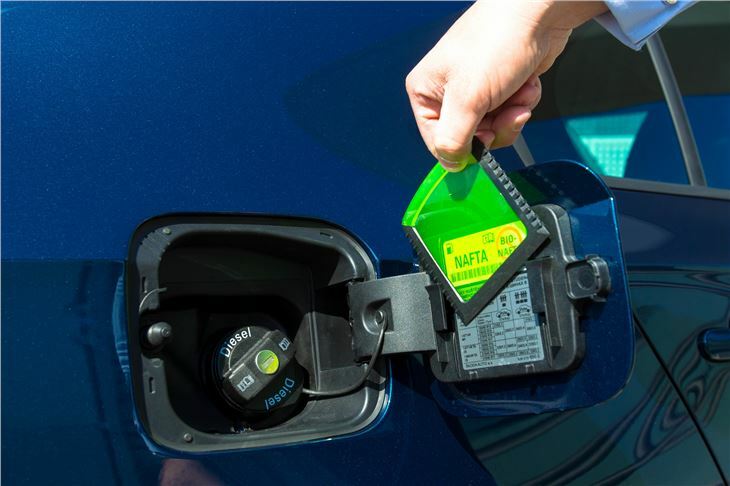 Turbocharging technology means it's quick off the mark and feels nippy at around-town speeds, even though on paper its 0-62mph time is nothing to get excited about. 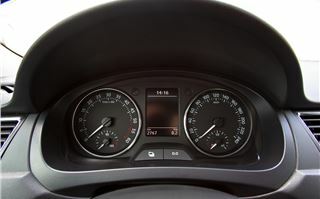 In theory it's relatively economical, too, though owners of other models with the 1.2-litre TSI engine have reported – via our Real MPG section – that it doesn't live up to it in real-world conditions. 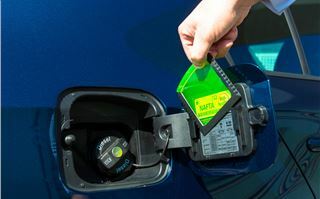 Diesel emissions are low enough for it to qualify for Band B Tax, but petrol engines are a bit off the pace and you could find a yourself with a £115 annual VED bill if you opt for the 1.2-litre MPI. 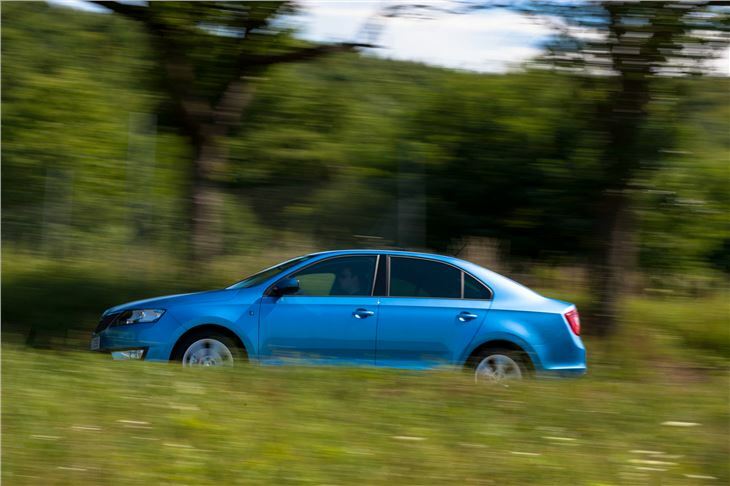 It's an easy car to drive, benefitting from a comfortable and highly-adjustable driving position plus good all round visibility. 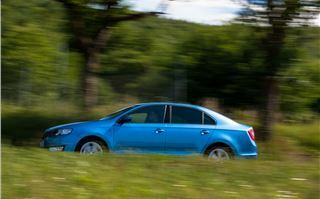 The steering is light enough to make easy work of three-point turns, but is precise enough for confident cornering on faster B-roads. The ride is pretty good, but the downside is that there is noticeable bodyroll when it's pushed a bit harder. Is that a surprise? No - this is a family car after all, rather than a hot hatch. 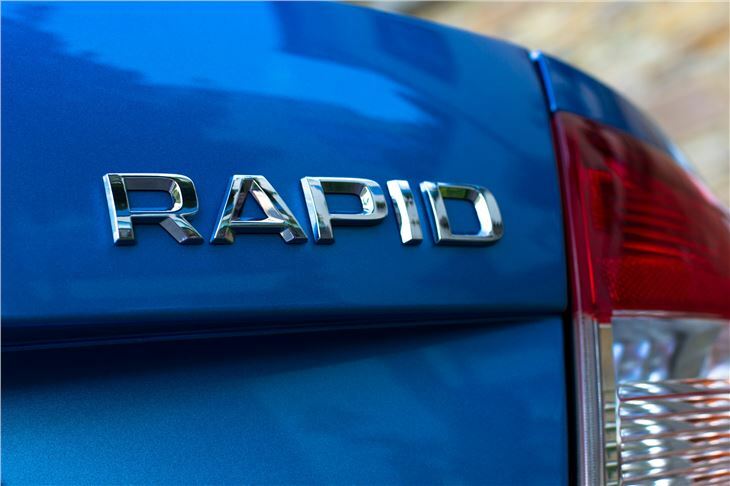 There's a lot to admire about the Rapid, but we can't recommend it just yet. It's a solid, sensible and practical hatchback so all the ingredients are there for this to be a cracking small family car. But a lot rests on pricing and specification. Its strengths could be cancelled out in an instant if it's even slightly overpriced. This is an incredibly ruthless part of the car market and there's no shortage of manufacturers wiling to take your money for excellent small hatchbacks. Ford, Kia, and Hyundai are just three that spring to mind. Pricing and specifications will be not be confirmed until the car makes its official debut at the Paris Motor Show in late September. 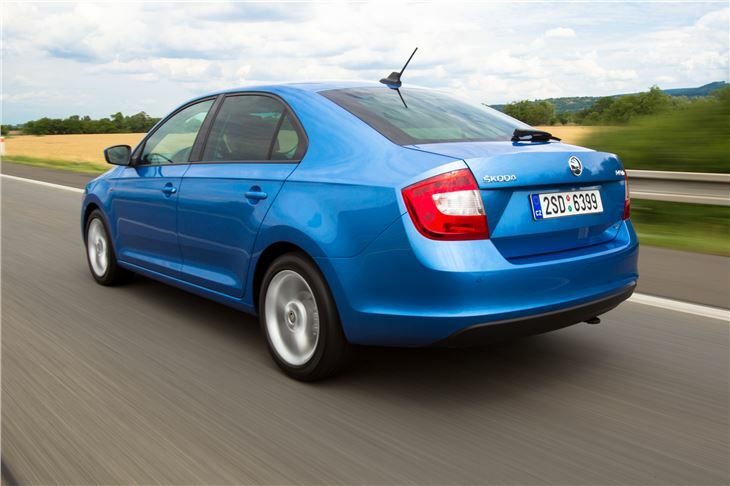 But the smoke signals coming from HQ are positive, with a potential starting price in the low teens and an entry-level specification that's superior to the current base-spec Octavia.